On the tutorial it says to cover the sides with pieces of tissue paper which would work fine for diffusing the lights. As far as backdrop fabrics go you can pretty much use anything that looks good with your "vision" but a simple, non-shiny and non-sheer cotton will work well. You could also use a long strip of posterboard for a backdrop instead of fabric. So long as it gives you a smooth look without creases, you can work with lots of materials. There's really no wrong way to go about it, imo. We'd clamp them onto the sides of the box and angle them into it so they'd flood the box with light from both sides and minimize the shadows (ours did not have cutouts), but you can buy a pair of standing desk lamps to put on either side if you decide to cut out the sides and diffuse them with tissue paper. They have up to 150 watts (which is what I use for screenprinting but they do get very hot so be careful) but you can definitely get away with using a much lower wattage. As for light bulbs, try to pick one that is closest to daylight which has a color temperature of 5000-5500k (it'll usually tell you on the front of the box). You can use CFLs since they'll be more energy efficient. You basically just want lights that are very bright and natural and not warm like the lights that people usually use throughout their homes. After the set up, make sure you adjust the white balance on your camera and set it to daylight. If you're unsure of what to pick you can just set it to auto white balance and it should adjust to whatever lighting you have. Mess around with each setting and see which one looks best by comparing them and then pick that setting and stick with it to get the best photo possible. Here's a comparison of the different automatic settings on my sister's camera (which are usually found in all cameras and phones). I've seen that one too. Sounds like a pretty good deal if it includes the lights. It certainly helped! I believe there is an actual Harbor Freights store down the street from my neighborhood so I could actually try to go there and get one of the lamps (or two)! I feel stupid asking this, but is the tissue paper pretty much "giftbox decoration paper"? Like if someone was doing a giftbasket and they stuff it with that really thin paper before putting the actual gift items in? On the article it says tissue paper but the photos definitely show some sort of fabric. I think you can use some white muslin or even just plain white t-shirts that you can cut up. I think you can layer a few sheets of regular ol' tissue paper for the same effect though. Just make sure your lights aren't too close to the material or it could start a fire if it gets too hot! Does anyone have any good tutorials handy for simple photo editing? I'm trying to learn simple things like editing out glare on the eyes or correcting the colour of a photo, and there's so much out there I'm just overwhelmed! 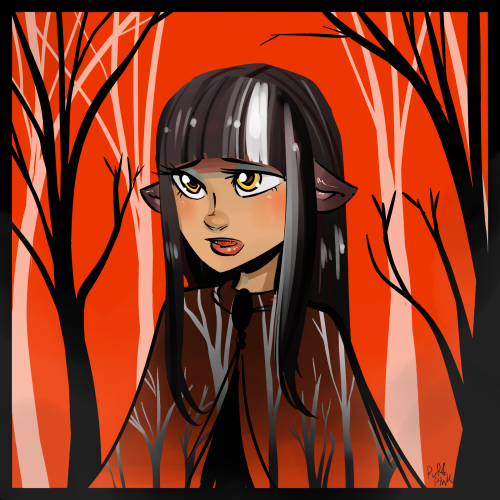 I have GIMP downloaded and I've played around with it a bit but I'm not super comfortable with it yet. Most of the tutorials or things I've seen are for people who are already more advanced than me, so I'm still lost! 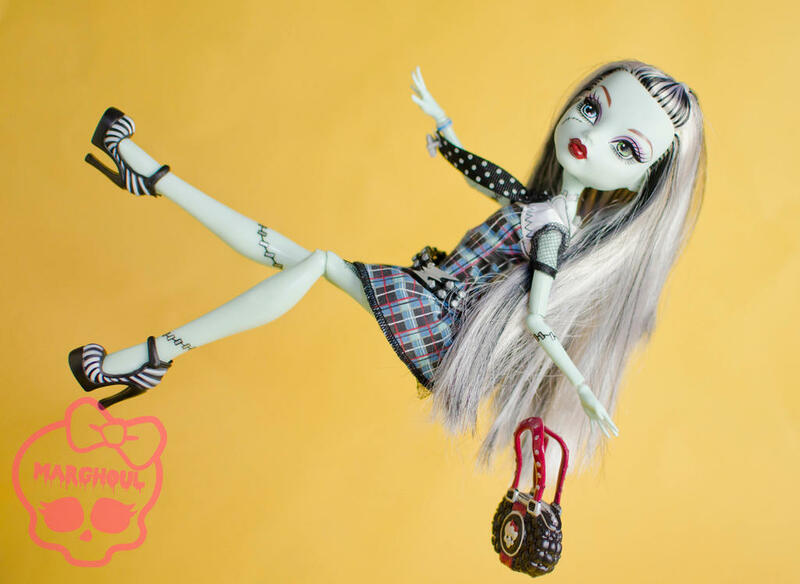 My Doll Blog, Christina Articulates! Latest post: Frankie and Recharge Chamber! I'm a professional photographer and I'd love to contribute some of my ideas and techniques to this thread! As far as the lightbox discussion goes, I know there exists on the internet a tutorial on how to make one using a cardboard box and parchment paper. For me, I don't like the box method... it's too rigid for me and doesn't allow me to experiment with different lighting patterns the way I like to do. What I prefer to do is... well, I found a tracing box at a thrift store. If you don't know what that is, it's a drawing surface that lights from underneath, which allows artists to ink their art via tracing onto a new paper. I use it mostly to look at film negatives... and lighting dolls. 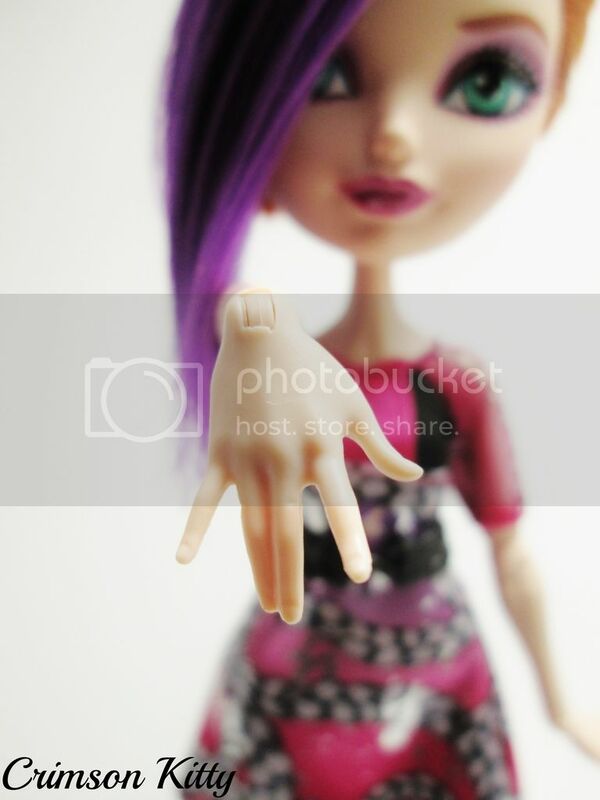 Another thing I've been experimenting with is taking photographs of the dolls without stands. I've seen a few ways to do this... one popular method is just leaning the doll against the backdrop, but I don't like the shadows cast on the background by the doll being so close. That, and it's impossible to get true depth-of-field by this method. Another way I've learned about is just using Handi-Tak, or poster putty, underneath the dolls' shoes. The trouble there is I have a few dolls with loose hip joints, and they sometimes flop over. I'm working on a rigging using a dowel and some fishing line to hold the doll up from above, as well as below. 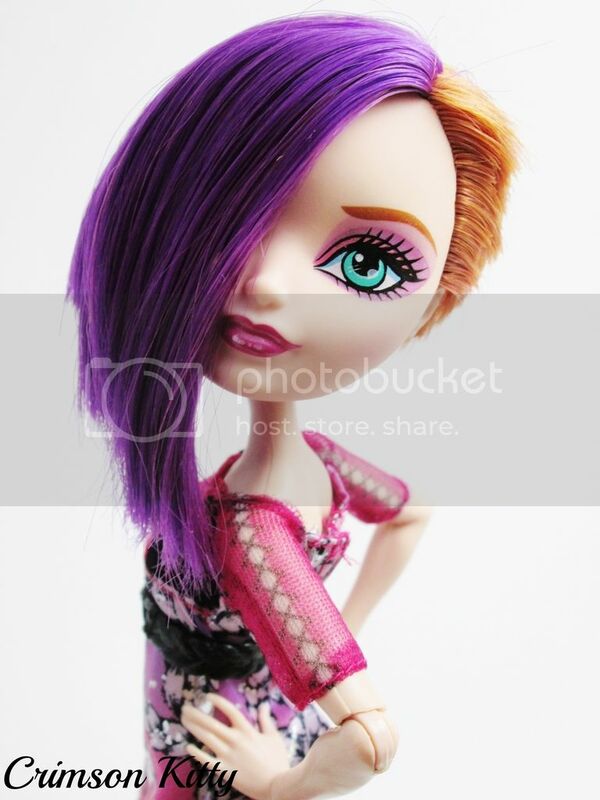 If anyone's interested I could totally take photos of how I have my lights and things set up for doll photography. Oh yes! Please! I'd love to see how your light set up is. 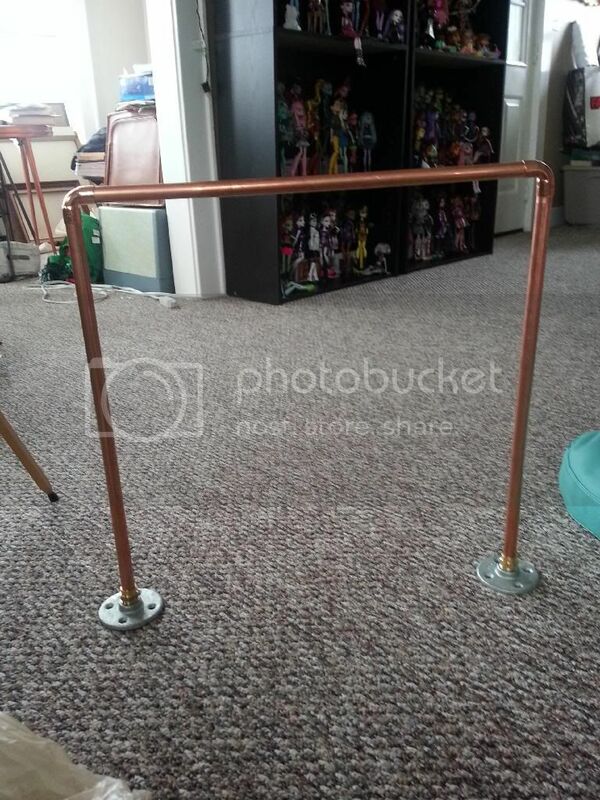 When it comes to make dolls stand up, I recently went to the hardware store and bought some copper pipe and fittings, and made myself a little rig. I can just tie a piece of fishing line around the pipe, and loop it around the doll's neck, and she stands up pretty much however I want to pose her! "Too weird to live, too rare to die"
I'm extremely bad with taking photos, but I'm curious if anyone has tried the sticky wax people use for model horses? Mine have some of it to keep them upright in the shelf, and it wipes right off. I would think it could be used in more standing positions for dolls? Dunno might not work the horses don't have all the weird joints. I haven't tried it since I don't take pictures and all my dolls sit. that seems like a nice and sturdy rig magenta, good job! I am recently playing with the thought of trying to make one of my own, but I really want to make it foldable and portable, as I think I'd mostly use it for outside photos. I haven't yet come across the right material or idea on how to make this real though. recently I am toying with the thought of modifying a folding rule, but I don't yet know exactly how. Mine comes apart, so it's portable! The pipe just slides into the connectors, I didn't use any glue or tape or anything. I can pull it apart easily, but the connections are still snug enough that it's good and sturdy. I actually used it the other day and hung three dolls from it at once to make them look like they were flying, and had no issues! that sounds nice! however, I'd be looking for the smallest and most lightweight option possible. I thought of plastic tubes, but even disassembled they sort of take up too much space. I always carry too much stuff with me, and once I'll finally obtain my dream DSLR camera (and lenses) it will be big and heavy enough on its own (especially compared to my weight) to make me heavily think of weight reductions elsewhere. Wood would probably be the lightest option? And you could probably make it foldable that way. Mine is super light, except for the base pieces, but I wanted them to be a bit weighty to help keep it steady if I were to take it outside to more uneven terrain. I'm still getting into this whole photographing dolls thing (I used to do architectural and landscape stuff mostly) and it's tricky as! All the tips in this thread have been really helpful to me, and I'd like to add a couple more that I've discovered along the way. Know your camera - Always have the manual handy, but know how to operate your camera's most basic functions by rote. Experiment with different modes (if your camera allows for them) to see how each one affects the photos you take. Read up on focal length, depth of field, aperature size, and shutter speed so that you know how to manipulate them to get the effects you want. Blue tack/sticky tack - If you don't have room to rig your doll to a support structure with fishing line, and shoe soles won't be visible in the shot, you can usually get MH ghouls to stand with a wad of blue tack planted firmly under their feet. Hotshoe flashes - Avoiding flash is the ideal unless you've got full lighting rigs (which I currently do not), but having an adjustable hotshoe/speedlight in your kit is handy as anything. For example, if you've got multiple types of light coming into your scene, you can "cancel" them out using a bounced hotshoe flash that produces minimal shadows. This works for DSLRs/SLR style cameras only, sadly, but is a trick I use a lot because the "natural" light I get in my house bounces off of multiple sources, such that I get both hot and cool light (which is uuuuugly). Or, if you're shooting in the dark and want some cool effects, a speedlight can give you a bit of a hot spot. 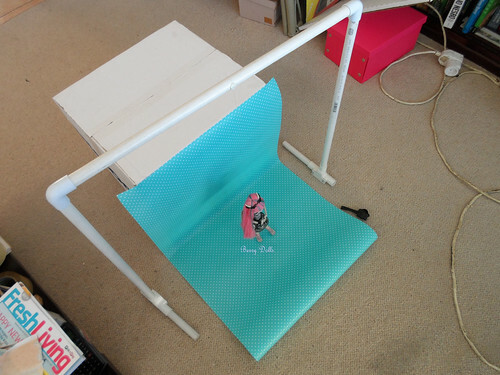 You can also buy (or make) a mini softbox/diffuser for your hot shoe on the cheap. Lightpainting - This is something I've been doing for longer than doll photography, but the techniques are applicable. For dramatic effects, lightpainting is awesome. I like using a flashlight in a dark space to light up key elements of the scene, or pop coloured gels against a backdrop on a long exposure, or even a laser pointer for "magical" effects. Tripod - You can get a cheap, but good tripod just about anywhere (I have a Manfrotto I use for my big'un, but I also have a little Gorilla pod that works for my phone and my Coolpix). They're ideal for when you have to work in low light conditions or for long exposure, so as to avoid camera shake. It also means you can experiment by taking the exact same frame/shot over and over with different settings to see what you like best. In a similar vein, selfiesticks are a good alternative to monopods for doll photography. They're small, light, and can get you some really cool shots that you might not otherwise have access to. Remote trigger - They make these for DSLRs, but also have bluetooth versions for Android and iOS phones. Paired with a tripod, they're really great for long exposures and help you to avoid any camera shake that might result from fiddling with the shutter button. Be sure to set your focus manually if possible, before using a remote. Just wanted to add that I made a quick light-box tonight and took some test shots and they came out decent. I'll post one tomorrow so you can see how a home-made light-box stands up to a professional one, but I just wanted to throw out that it was actually very easy to make and (since I owned all the materials beforehand) cost me nothing. In fact, if it holds up, the only thing I'll really need are some extra lights. I already had a stark white light-bulb which worked fine for the test shots, but I'd like to get two more (and some small lamps) to stick on the sides. This will definitely expand my photography tremendously! I have made something similar to what magenta has. But instead of copper pipes i have made mine out of PVC pipes. It can come apart for easy transport and storing. I also use invisible thread that you can get at a fabric store to string my dolls up. it is thinner than fishing line so if you have good lighting you wont even need to edit it out. Whoops, just realized its been months since I said I'd add the lightbox pics These were all taken in a home-made lightbox that cost literally nothing at all since i previously owned the materials. I've been building a lot of larger sets recently where a lightbox just isn't feasible, so I shoot on my dining room table which gets great natural light throughout the day. I adjust the blinds depending on how much or how little light I need. More than a bit obsessed with Star Wars. 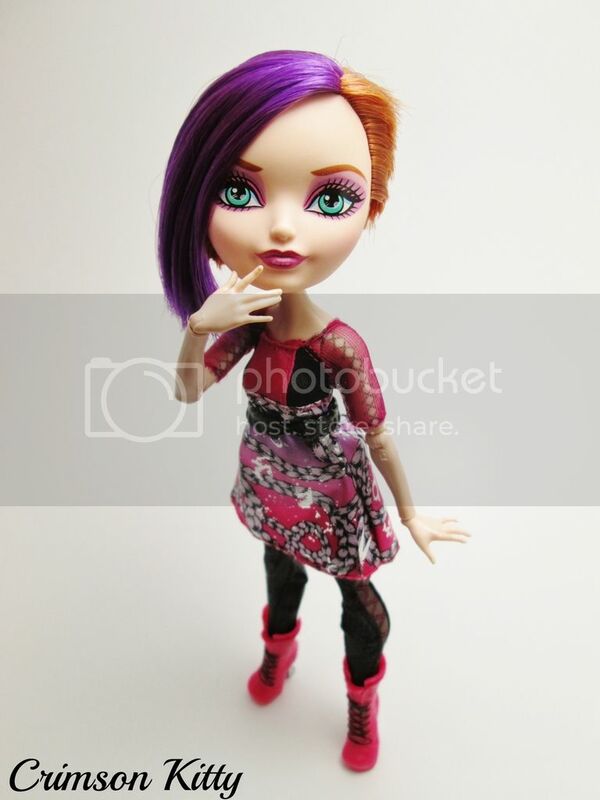 Any advice on photographing dolls with less articulation than MH and EAH? 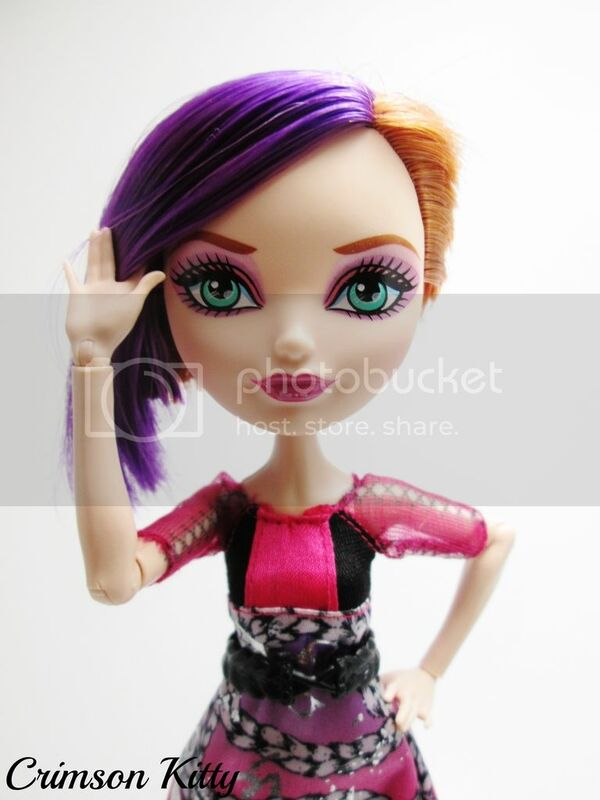 I've just started taking photos of my dolls and I'm really enjoying it but I'm not sure what I'm going to do for some of the dolls without bendable arms/legs to make them look natural so any advice would be great!